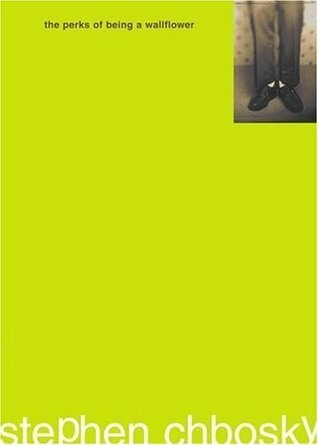 I have lost count of how many people have told me I MUST read The Perks of Being a Wallflower by Stephen Chobsky. Descriptions often run from "brilliant" to "life-changing" when describing Perks (as many fans fondly refer to this book). So, when a friend offered to lend me the book, I decided to take her up on the offer. Perks is a story in letter format written from Charlie's point of view. Charlie is a young man that is about to enter his first year of high school. He is one of those awkward kids who speaks the truth, not knowing necessarily how painful it may be. His raw writing follows his freshmen year through both the highs and the lows, giving a very honest perspective of the teen years. When I first began reading the book, I was not as impressed as I thought I would be based upon all the hype. I began thinking that I may have went into it with too high of expectations. BUT, Charlie began growing on me. His brutal honesty and genuine thoughts became refreshing. By the end, I was impressed! I don't want to ruin the story, but I will say that one of my all-time favorite quotes has come from the book. Heck, the entire last letter of the book is my favorite! There are so many wonderful lines, lessons, quotes, etc. Despite the fact that my teen years were so many years ago and I may have not been able to completely relate to all the experiences in the book, that last letter was just what I needed to read in my life right now. For all of you that recommended that I read this book ... THANK YOU! I may have thought you were a bit daft at first, but now I can genuinely saw that the crazy journey through Charlie's shoes was well worth the trip!! Have you read Charlie's letters? What impact did Perks have on you? I still need to read this. Perhaps 2013 is the year?